I've been pretty busy with awesome projects I've been working on. 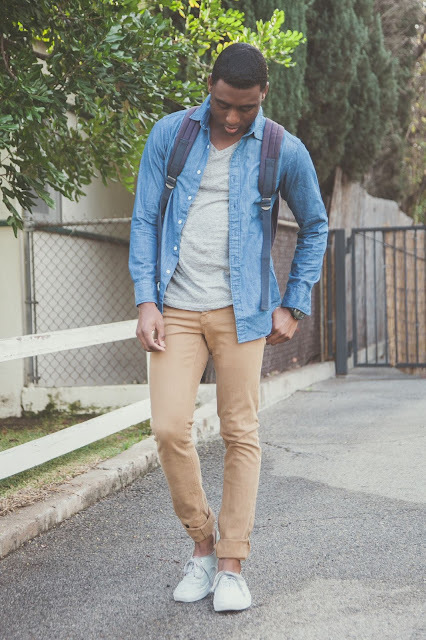 Today's looks are pretty casual nice denim chambray with basic tee & Jeans. A pretty comfortable everyday look. I just want to know, where you live where you don't need a jacket? Jealous!! !